With so much on offer, Suffolk is the perfect choice for a short break. Whether you choose to take a weekend away in one of our rural hideaways or a short break in one of our cosy coastal cottages, a few days away in our beautiful county may be just the tonic you need. 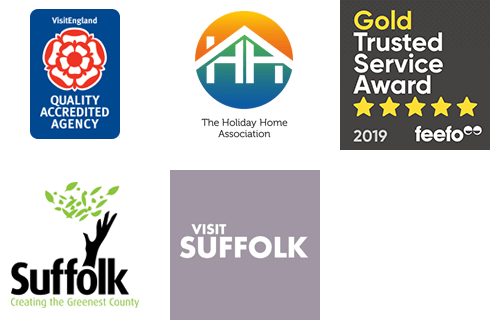 We offer short breaks in almost all of our beautiful Suffolk cottages, so you’ll be able to find the perfect property in the ideal location to suit you. The revitalising sea air found on the coast could be exactly what you need to recharge your batteries or try relaxing in the wide open spaces of the Suffolk countryside, a perfect place to truly unwind. Not only is there plenty of opportunity to rejuvenate there’s also plenty going on to explore so you can find the perfect balance. Enjoy rambling along the coastal path or discovering the various art galleries and boutique shops dotted around the county. Try your hand at becoming a becoming a sommelier at the various vineyards or become a deck hand on one of the many boat tours that are available. Wanting to take a short break with the children? There’s plenty to please both adults and children alike such as a jolly a day out at Framlingham castle when you you play at being king and queen for the day. Suffolk is not an overly large county and it’s jam packed full of things to do and see so you’re never too far away from a brilliant attraction. Whether you’re looking for a romantic getaway for two or a short break for the whole family our holiday cottages make the perfect base to get exploring Suffolk whatever time of the year. So all that’s left to do is start planning your perfect mini break to the country today and make time for the holiday you deserve! Need help finding your cottage? You can give us a call or drop us an email and we will be more than happy to help with whatever query you may have, our contact details are at the top of this page so it’s really easy to get in touch.